Adam Riemer lives in Washington DC but promises, he doesn't follow politics. He has been in the SEO related space for a very long time and has mostly focused in the competitive niches of affiliate marketing. Overall, he is a pretty quiet guy, not looking for much attention but at the same time, he is quietly helping others in our space get better. He has a blog he regularly posts at, he contributes to industry blogs as well, he is often found at various SEO related conferences and events and he is also pretty active on social media. He isn't the typical affiliate marketer because he honestly shares a heck of a lot more than any typical affiliate marketer. 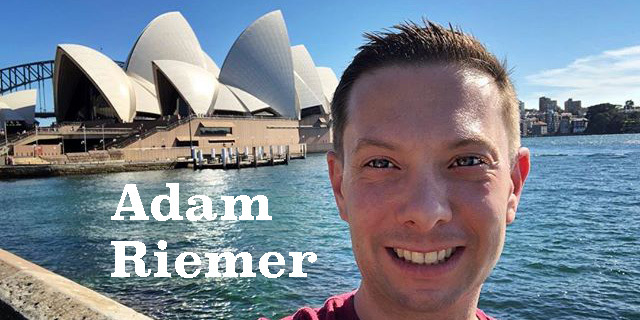 While technically Adam is mainly in affiliate marketing, that doesn't stop him from being one of the most honest and helpful SEOs out there. Adam has a passion for digital marketing that he combines with a compassion for helping others. He shares his knowledge freely - and he gives far more than he gets. He's funny, kind, smart and one of the best people in the industry. Adam Riemer Bio: With more than 15 years of experience in SEO, affiliate marketing, social advertising and conversion rate optimization, he travels the world helping companies from startups to fortune 500’s with unique ROI based strategies that not only meet their needs, but help them achieve new levels of success. Favorite thing about the SEM community? My favorite thing is that we help each other. There is no literal accurate book since many SEO problems are unique to the specific situation, so the openness of the community and willingness to help each other out is what I love. Then you have the commitment to each other. When someone passes away, the community comes together to help the family. It is a family, same with the other industry I’m in which is Affiliate. I’m fortunate enough to be a part of both. One piece of advice to the SEMs out there? My biggest piece of advice is take everything with a grain of salt. SEO is situational and needs to be treated that way. Just because Google or an expert says something and it seems like it makes sense, it may not actually apply to your specific situation the problems/obstacles you’re facing. Favorite things in general? Color is green and some blues, food is pizza and thing to do is tied between wine tastings and running. What you want to be known for in the SEM space? I don’t want to be known for anything. The person you see at tradeshows like Pubcon, Affiliate Summit, WebMavens and State of Search is who I have to be to run my business. At home I like my quiet time and personal space. Watching my friends be well known, followed and gain celebrity status is what I like. I’m much happier being in the background and just doing good work. To learn more about Adam, check out his site, follow him on Twitter, check out his Instagram and connect with him on LinkedIn.